I managed to get through this entire article without doing any damage to my monitor, because I damn near lost a mouthful of water on the first paragraph and was smart enough to not have food or drink in my mouth for the rest of the article. It's a riot! The included picture alone is worth several emoticons, don't you think? About a year and a half ago, I took an adventure. I traveled to an alternate reality in which we could clone people. 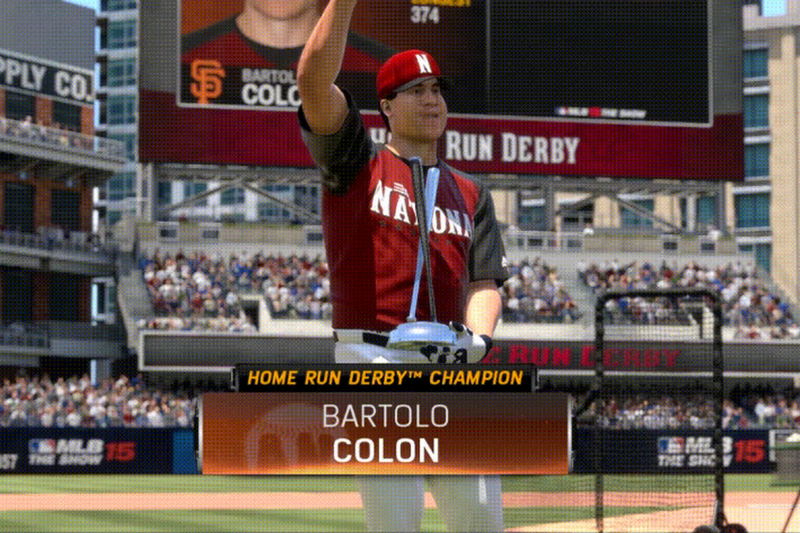 This alternate reality was MLB: The Show, and the person I cloned was the only person in the world whom everyone would agree we could use some more ofâ€”Bartolo Colon. I cloned Bartolo 24 times, and I filled an entire Baseball team with the real Bartolo and his 24 fellow Colones. I made them play a game against a team full of Ryan Howard clones. I documented my experiences here. According to the reception that documentation received, it was apparently the greatest thing I have ever done. I've spent the last year and a half wondering if I could ever make something as great again, and what I would have to do to at least match my efforts there. For a while I had nothing, and I was becoming resigned to the fact that the Team of Bartolo Colons was probably a one-hit wonder. Until I realized just the other day what was necessary for a sequel. I needed to go bigger. I needed to go better. I needed to expand. One team of Bartolo Colons was not enough, no. Two teams was not enough. I needed 30 teams of Bartolo Colons. I needed to create an entire League Of Bartolo Colons. In this world of MLB: The Show, all 30 MLB teams will be comprised entirely of Bartolo Colons. Bartolo will be every single man in Baseball. There is nobody else in this world; there is only Bartolo. Bart will pitch to himself, and he will hit against himself. He will field against himself, and he will run against himself. God bless Sony for allowing this to happen.